We support our local producers and select only the finest harvests for production, that's who we are at our core. The Pumphouse series of wines are crafted to be fresh, fruit forward and approachable. Available in bottles and on tap, our unique label gives our bottle wonderful shelf appeal, while our reusable stainless steel kegs are environmentally friendly, convenient and provide great value. 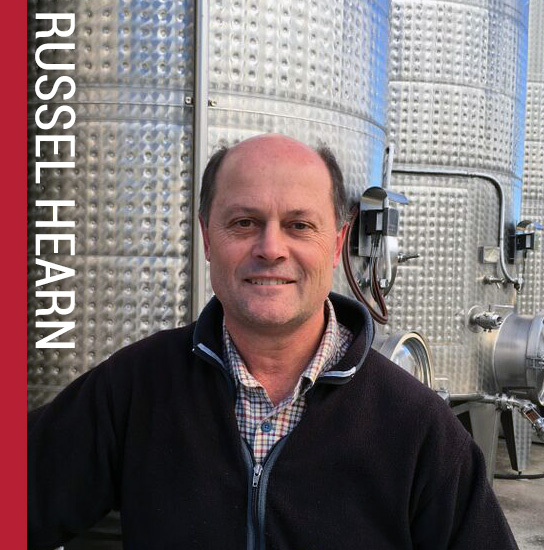 Australian born Russell Hearn has been making wine all over the world for all his adult life. From Australia and New Zealand to Burgundy France, and now on Long Island's North Fork, Russell has mastered wine making. His signature style makes his wines approachable yet sophisticated. Whether he is making everyday drinking wines like Pumphouse, or more seductive lines like T'Jara, Russell brings 40 years of experience and a devotion to the art of wine making. The Pumphouse name comes from the many little shack-like structures, which weather the elements in the vineyard. Used to house irrigation wells, pumps, and valves, these venerable buildings are part of the farm landscape where the grapes for these wines are grown.